Warren Police and the FBI are conducting a search in Macomb Township in the area of 23 Mile and North Avenue. The search is part of a case out of Warren. Police say they are covering area along the creek in search of the bodies of at least 4 to 6 teen girls who may have been sexually assaulted and their bodies dumped there. The investigation stems from a cold case that stretches back roughly 40 years. One of the bodies believed to be buried could belong to Kimberly King , a 12-year-old girl who went missing in 1979. "We have probable cause to believe that (Kimberly) is buried there," said Warren Police Commissioner Bill Dwyer. "We also believe that there's maybe four to six other girls that have been reported missing that are buried there. We certainly are convinced we have the right area. It's just a sad type of situation." Commissioner Dwyer is now calling Ream a serial killer and says police believe he acted alone. The cold case began heating up again when it was turned over to a new detective, who investigated and talked with Ream, who failed a polygraph test. They then waited for the ground to thaw before conducting the dig. Dwyer says nothing has been found, as of yet, but stresses that they are carefully digging and will systematically cover the field. Dwyer says they will be out there as long as it takes. The search is near where the body of Cindy Zarzycki was found 10 years ago. Zarzycki disappeared in the 1980s. 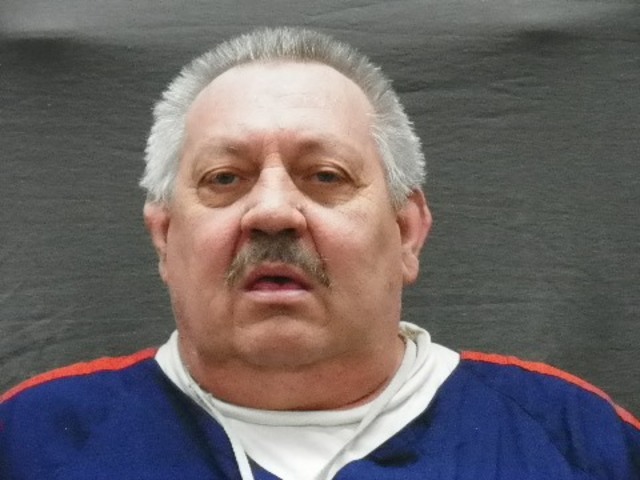 Arthur Ream, 68, was convicted of her murder and is serving life in prison. At the time of that conviction, he was serving a 15-year sentence on an unrelated molestation charge involving a 14-year-old girl, according to the Associated Press. Also included in the total of missing girls is Kellie Brownlee, 17, who disappeared from a Twelve Oaks mall in Novi in 1982 and Kim Larrow, 15, of Canton, who disappeared in 1981. Police say the cold case was reopened because they are confident remains will be found. On Monday, officials and searchers cleared trees and had 20 people working backhoes. Police say It could take 2 to 3 days to find something. Officials added that they believe Ream is responsible for the disappearance of Kimberly King and others. However, Ream has not confessed to being involved in any of the other cases.